Watch in silence. All photos by Lauren Hill. 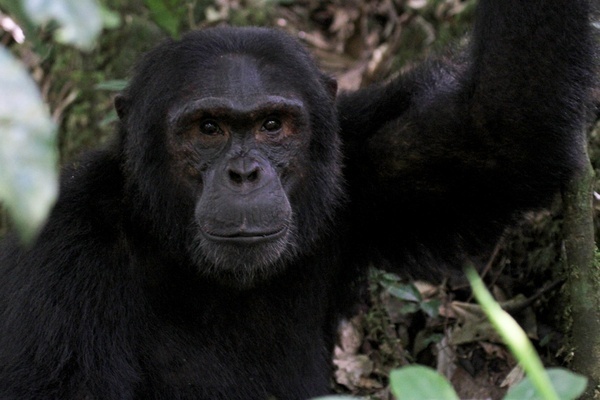 We're kicking off Badass Adventures Week with a solo journey to southern Uganda, following London-based writer Lauren Hill's trek into the equatorial forest for an afternoon with some feisty local chimpanzees. UGANDA – Our van trundles along the sun-baked track into Kibale National Park, passing through clouds of butterflies that flit around the verge and disappear into the dense forest. Once we arrive at Kibale Primate Lodge, I'm told the butterflies signify the arrival of the dry season. This is good news to me, as the drier months are the optimum time to track chimpanzees, which is exactly what I came to Uganda to do. Kibale has been a reserve since 1932, but it wasn't until 1993 that the 700-square-kilometer wilderness was declared a National Park, encouraging tourists and researchers from around the world to come and experience its unique flora and fauna. And at altitudes between 3,000 and 4,500 feet, it's refreshingly cool to hike through. 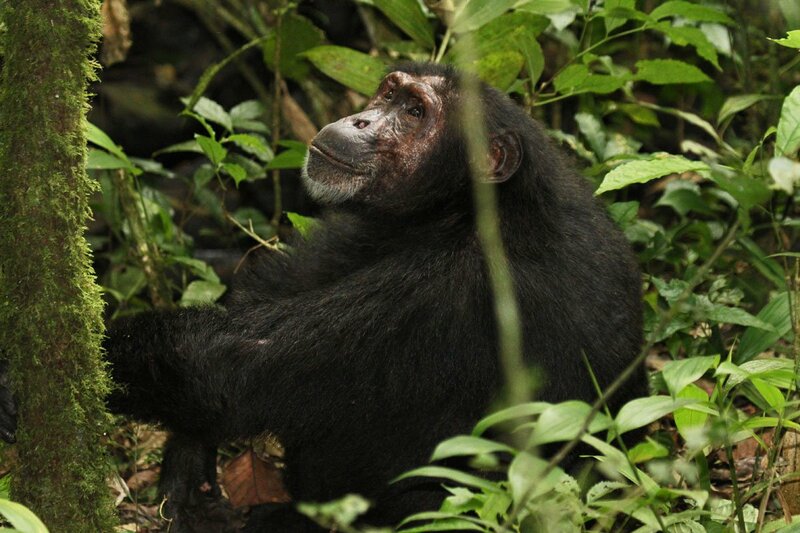 Expert trackers are on hand to take visitors on walks in search of the chimpanzees. 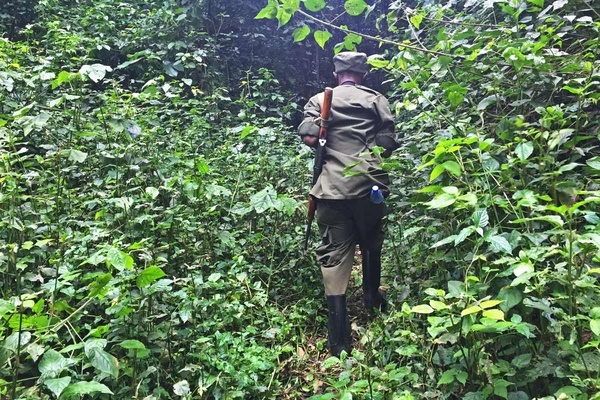 So in camouflage gear and with a shotgun slung over his shoulder — a shot in the air is enough to scare away rogue elephants — my guide Gerardo leads the way into the forest. Tipped off by a fellow tracker who had spent the morning with a troop of chimps, Gerardo makes a beeline along the forest path, up and down undulating slopes, before veering off-track and leading us deeper into the wilderness. Having been a guide here since the park was established, he knows the land well and moves rapidly between the trees. We duck beneath low-hanging branches, step over giant roots, untangle ourselves from vines and climb over fallen trees, only slowing down to hop across the rocks of streams. After passing through a kaleidoscope of butterflies in each forest glade, I'm not surprised to learn that the park has 250 butterfly species. The birdlife is another great draw, as the trees and shrubs are home to a staggering 375 species. "We have one unique bird called the green-breasted pitta," Gerardo tells me, "People come from all over the world to see it. If they start walking at 6 a.m., by 6:30, they'll see a colorful display." Spurred on by the chimps' chatter, and shrieks, we push on until catching sight of two scampering between the trees ahead of us. We pick up the pace because they're moving deftly through the undergrowth. Gerardo effortlessly ducks, leaps, and climbs across each obstacle, and I try not to stumble as I follow close behind. As we weave through the trees, Gerardo tells me about chimp quirks. "Some are friendly, some are shy, and others are simply stubborn," he says. "Like a community of people, they all have different behavior. Toti is the naughty one. If you see him coming, just move out of the way and he'll pass by. Sometimes he moves at a terrific speed." Trackers seek out chimps by listening for their calls and the sound of them crashing through the fruit trees the primates feed on. Gerardo also follows the chimps' most recent movements, looking for evidence and debris on the forest floor, such as remains from fruit they've eaten. "You should at least know where they spent the night," he says, stopping and turning to me. Other trackers are a reliable source of information also. "If someone goes out tomorrow morning, I'll tell him where the chimps built their nests this evening." Our steps crunch on the fallen sticks and leaves and we push branches out of our way, passing gigantic trees wrapped in strangler figs, catching sight of the chimpanzees momentarily as they crashed through the undergrowth. At last the chimps choose a spot to settle. Paying no attention to our arrival, they preen each other, foraging on the ground for fruit and seeds. When we arrive at a small clearing beneath the trees they were feeding in, we're just in time for their supper. They clamber up into the branches overhead, drumming on the trees and chattering to each other, sending down a shower of branches and leaves. AMAZING. As we watch the pandemonium unfold above us, Toti makes his entrance, stampeding past, slapping his hands against the ground. We were about five or six feet away from him, so close we had to move out of his way. He scales the nearest tree, forcing another chimp to vacate by diving for a spindly tree that bends all the way to the ground, before rebounding back to its original position, sending a shower of leaves into the air. 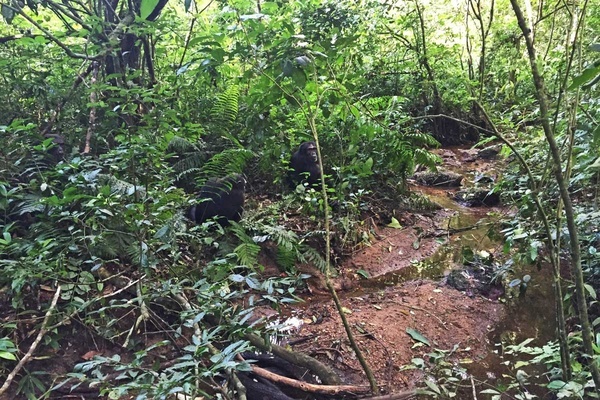 Having had their fill, the chimps laze on the forest floor by the bank of a nearby stream. "Well, like all good things, this time has to come to an end," says Gerardo, as our hour with the chimps draws to a close. So after saying goodbye, we begin our long trek back through the forest to the road, this time taking in the surroundings we'd so hastily carved our way through in the footsteps of the primates. After flying into Entebbe International Airport (EBB), which is situated just outside the capital Kampala, you'll need to reach Kibale National Park by road. The easiest way to do this is to book a driver and guide to meet you at the airport. The journey from Kampala to Kibale takes approximately three hours. It's bumpy in parts but it's beautiful too, as you pass forest and savannah and as you wind between tea fields. 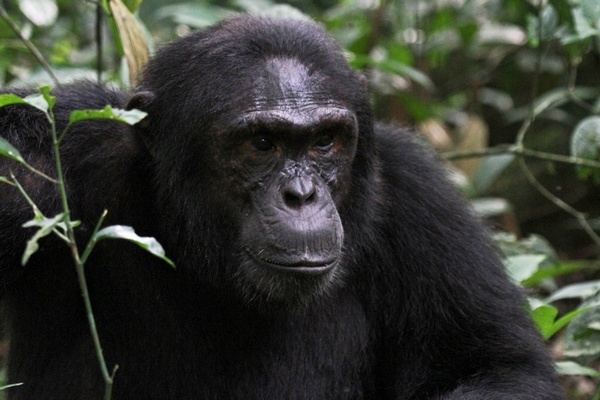 Chimpanzee tracking costs US$150, which includes the guide fee. The national park fee for Kibale is US$40. Private tours of Uganda's national parks, with a driver and guide, can be taken with Africa's Great Explorations. The same driver and guide from also accompanied me to other national parks I visited (Queen Elizabeth National Park, Bwindi, and Kampala), and give me great insight into Ugandan life. I stayed at Primate Lodge, which is run by Uganda Wildlife Authority. The eco-lodge is set within the national park with safari tents, cottages, a tree house, and a campsite. Lauren is a London-based editor and travel writer. You can follow her on Twitter and Instagram. She travels for the astounding experiences and unexpected adventure.